This restaurant is permanently closed. 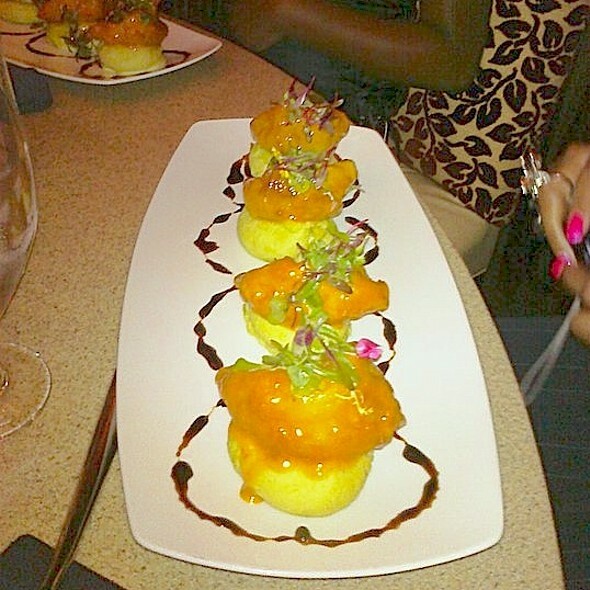 Located in the heart of Charlotte’s Uptown hotspot, the EpiCentre, Enso is a place to dine, drink, and delight. Every detail, from the menu, the lavish and understated interior design, and the hottest electronic beats have been painstakingly selected for a reason – to create a warm, vibrant, and welcoming environment. Part bistro, part lounge, part meeting place, Enso has something for everyone. No matter what your mood or taste, come and experience what everyone is talking about. From the exotic flavors offered on the menu to its contemporary, elegant design and decor, ENSO is a feast for the senses. Please contact Ashley Morris for your private dining needs. ENSO Asian Bistro & Sushi Bar offers a wide selection of menus to suit your catering needs. Please contact Ashley Morris for current options and pricing. Enso Asian Bistro & Sushi Bar is located in Uptown Charlotte in the EpiCentre, directly across from the Time Warner Cable Arena. Parking is available in the EpiCentre (pricing varies on day of week), with entrances on East Fourth Street and East Trade Street. You can also take the Lynx light rail or a Charlotte Area Transit System bus, both conveniently adjacent to the EpiCentre. Valet is accessible on College Street. You can take the Lynx light rail or a Charlotte Area Transit System bus, both of which stop right at the EpiCentre. Live DJ, in our Sake Lounge: Thursday, Friday, and Saturday beginning at 8:00pm until close. Enso's Happy Hour is Monday through Friday from 4:00pm to 7:00pm in our Sake lounge. 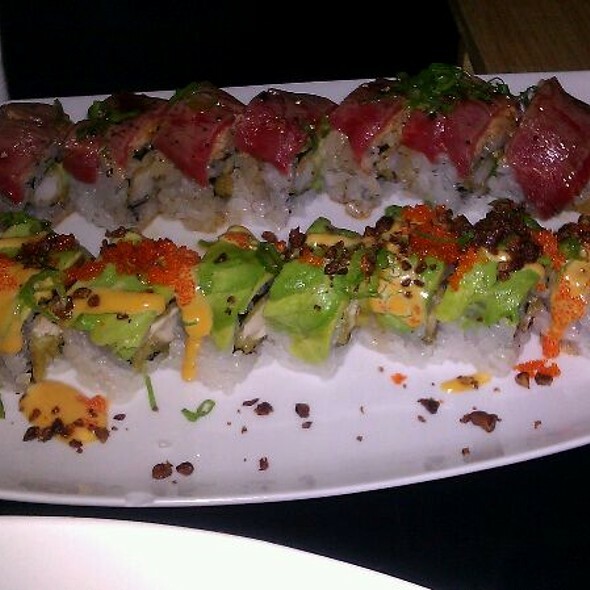 Specials include $6 select bistro and sushi specials as well as daily drink specials. Enso Asian Bistro. I found out by accident when I looked at my upcoming reservations in the app and didn’t see it. I checked further and saw you had marked it as permanently closed. I was able to find another restaurant. Please look into this problem. The restaurant was closing the next day. We had a drink and left. Meh. The food was closer to room temp than hot. The roll we had was great, but the chicken curry was bland. Service was slightly subpar for the price. I had made a reservation on OT but still had to wait 20 min for a table, which is not uncommon just undesirable. It was the second time there and I probably wouldn't recommend it for the price which was 72 for 2 (no drinks). Service was terrible. Our waitress said the place was closing down and the morale was low. Had a 6:30 reservation ahead of an 8:00 concert. We were seated & greeted immediately. At that time the waiter told us that the sushi bar was backed up. That happens. I get it. We orderd drinks and food. It took over an hour for our drinks to arrive. This included sodas and iced tea. Totally unacceptable. Even worse we spoke to the manager who seemed thoroughly perplexed as to why we had an issue. We left and had hot dogs at the stadium. Apparently Sept 14th was not a good night for Enso because it was the worst service for a lot of people. We had a 615 reservation, ordered at 630 ( we had a concert to get to) and we didn't get our food until 8.. 1.5 hrs later (!!!) and that's only because we complained and had to track down the manager. I even went to the sushi counter and had to directly order our sushi bc they didn't have our ticket. We told the manager that we weren't paying for the meal and she was fine w it. That's the only reason they would even get the one star. It was just awful. Waitress was great, but drinks and food were extremely slow to get out. Worst experience ever...poor service, understaffed, 60 minute wait for food, poor food quality ... excuse was that they just found out restaurant was closing so staff quit. I was here for a bachelorette party on a Saturday night. It was the perfect place for our dinner. The energy was lively with a dj, and the sushi was fantastic. The wait staff made sure to make the bride feel special with some extra complementary drinks. Great experience! Food was not great. I believe the salad made me sick. Bathrooms had a plumbing issue in the sinks and could not wash my hands. 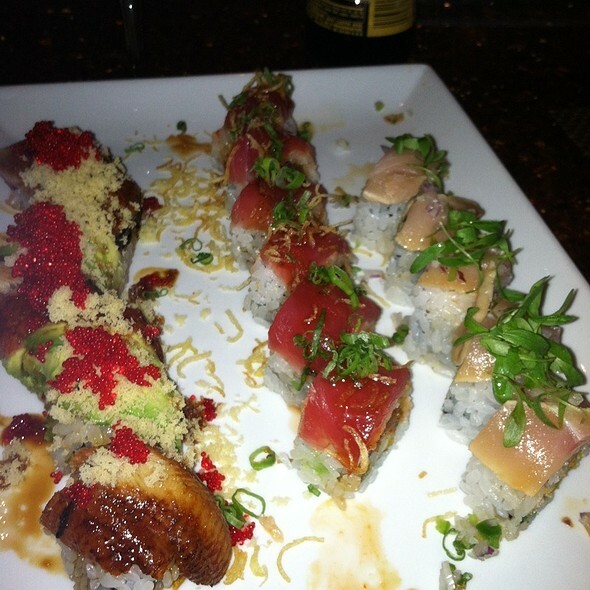 Great Sushi “Godfather “ best I have had in Charlotte! You get what you pay for! Will definitely go back! We took our kids for a special night out. Although Enso is generally on the fancy side, they were very welcoming and kind to the kids. And the sushi is fantastic!!! Our waiter, Dan, was excellent . Very knowledgeable and professional. A warm welcome, exceptional service and a culinary delight do not describe this restaurant in any way, shape or form. However the lack of server attention and level of unprofessionalism we're on full display. Waited 45 minutes for soups and salads and 90 minutes for entrees to arrive. I wish I could say the food was worth the wait. It wasn't. Orders were wrong. Staff seems totally overwhelmed. Luckily, they excel at excuses and diversion. Walk next door Firehouse Subs and have a far better experience. Huge disappointment! We made a reservation here after turning down other options for our anniversary. It was restaurant week so we'd expect restaurants to be on top of things so people get a good impression. We had a 9pm reservation and after the waitress brought us water and took our order, 30 minutes went by and we didn't even get a drink menu or our salads. We flagged down the manager and let her know and she said she'd take care of it. In the meantime, the waitress passed by us twice and never stopped by. Still no salad or drunk menu. The music was insanely loud for a restaurant. It's more like a club than an "Asian Bistro" or even an upbeat environment. The waitress couldn't even hear us the few times we did see her when we first got there. Also, there air conditioning must have been messed up bc it was HOT in there! So many people were fanning themselves. Ultimately, we got uncomfortable and tired of waiting. We let the hostess know we were leaving and went elsewhere. Luckily, it wasn't too late to make another reservation. We expected more. 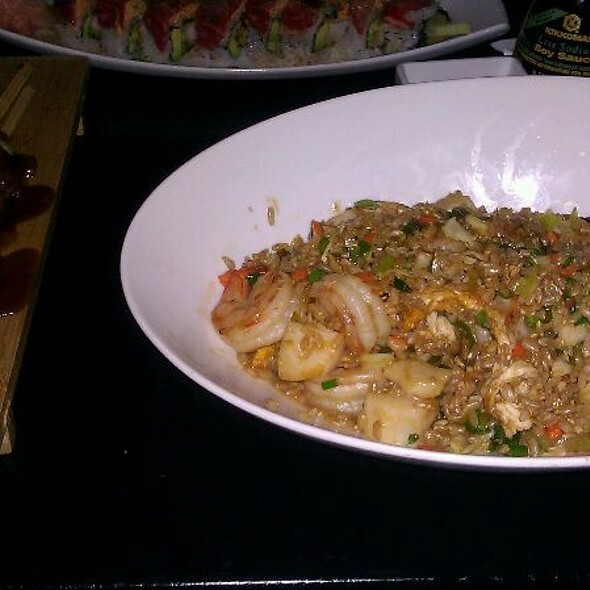 The drinks and sushi were fantastic, but our entrees were awful. Service was great. My husband loves sushi, so I selected Enso, but we found both the sushi and the halibut entrees to be rather lackluster. I do not think we will be back, as there are many other options in Charlotte. Great experience and I'm definitely coming back again. This was my first time going during lunch and will also be my last. Despite the restaurant being apparently empty, service was slow and the food took forever to come out. I'll stick to dinner at Enso. Had a great time, the manager Nick went out of his way to make our experience outstanding. We will definitely be back!! Our server at the bar was great I can't remember his name :(. He was upbeat and not what I'm accustomed to when I visit Enso. It is overpriced in my opinion. Food was good but nothing amazing. Closed on Memorial Day. But still allowed my reservation. Showed up to locked doors. Not cool, Enso. The food was pretty good but the service was not. It was pretty empty but the server seemed uninterested. Other staff sitting around did too. Had an amazing experience at this beautifully decorated Asian Bistro. We chose this restaurant as a lunch spot for our Bachelorette Weekend. We had the most perfect time. Our party of seven was seated in an intimate round table spot with a beautiful ambiance. Great atmosphere, great food and amazing service. My wife and I were visiting our son in Charlotte and he took us to Enso...we understand why this restaurant is one of his favorites! The decor is sleek and modern, the wait staff led by Jennifer was excellent, and the food and drink were outstanding. We started with Miso Soup and Ginger Salads that were very good. 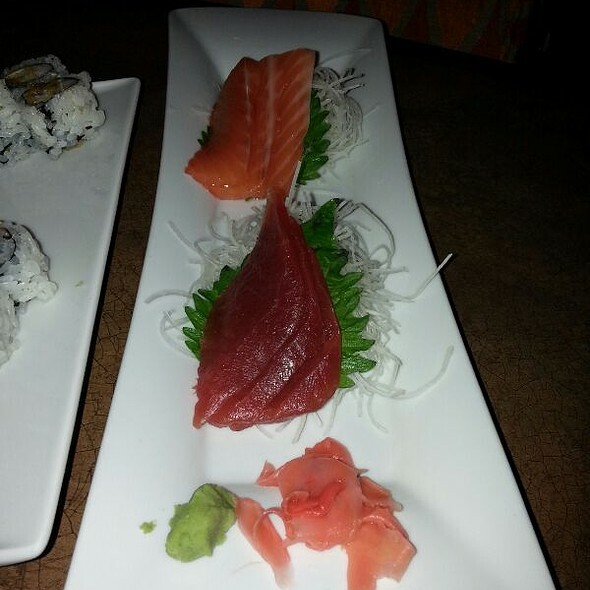 We then ordered the Sashimi Platter and a variety of Sushi Rolls...all were outstanding! 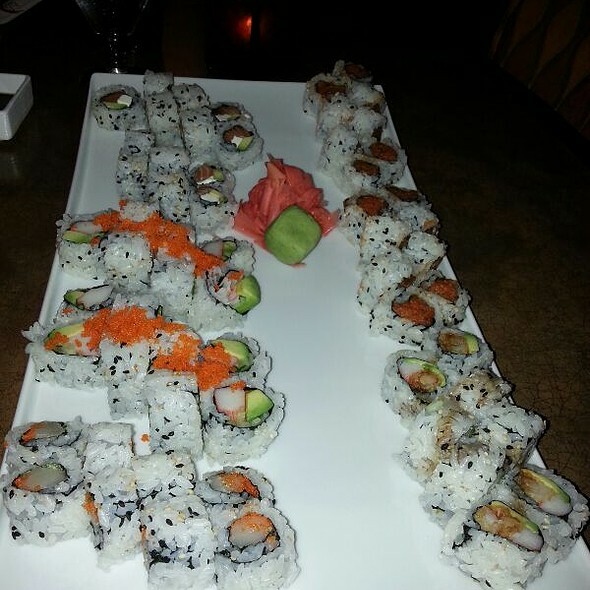 We love good sushi and Enso served some of the best we have experienced and in an elegant atmosphere. We will plan to return on a future trip. Enso is always a great choice. I've been here several times, however, I recently went with a group of friends for my birthday. The service was great, great selections of wine, and the food was very good. Our second visit did not disappoint from the fun vibe, excellent service, multplicity of choices to well prepared food which arrived displayed to whet your appetite. We started with chicken lettuce wraps and steamed shrimp dumplings. Both were tasty and are on the have again list. The chicken was on the ragged edge of being too spicy for me (I am a bit of a spice whimp but making slow and steady strides) but it was so tasty I kept at it! 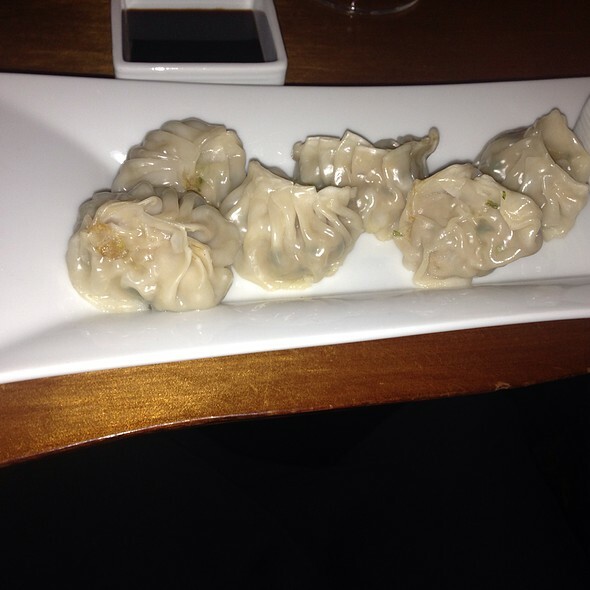 The dumplings were tender and came with a nice dipping sauce (could use a more generous amount please). I ordered fried rice with my main course - traded it in for plain white rice as it was well prepared but had a sweet taste that I didn't care for. Truthfully their rice is just ok - personal taste. The kung pao shrimp was really good - not the traditional preparation but well done. 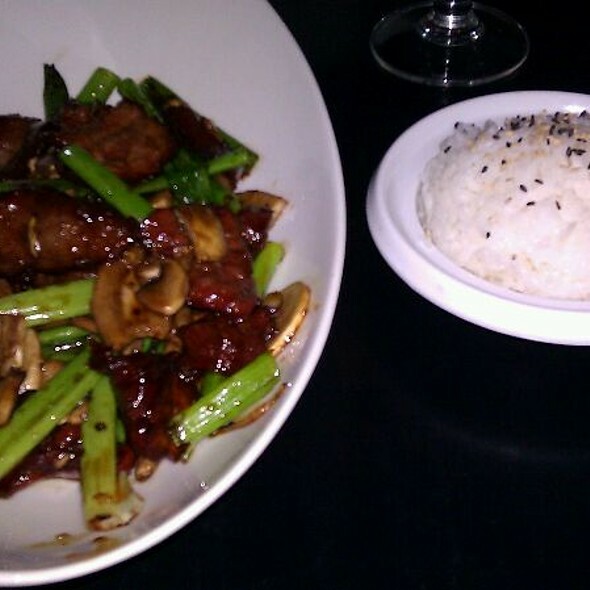 The szechuan beef was tender and received a thumbs up from my husband who is not easy to please. We had enough for dinner the next day! 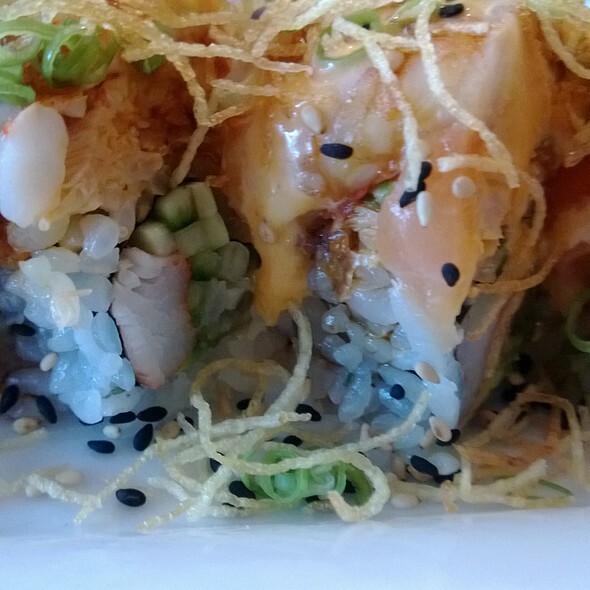 Enso's riff on Asian cusine is a winner. It is on our to return to list for future trips to the Queen City.